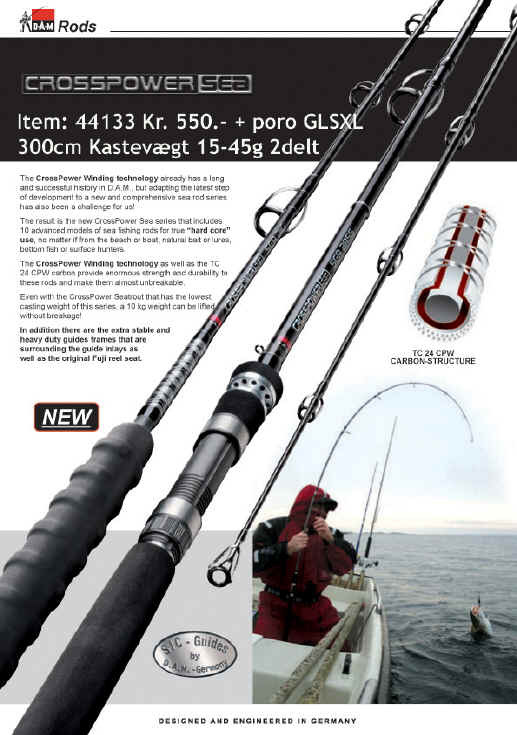 This is by far one of the best eel rods you can by on the market to day. The length and casting weight have been designed to make Eelfishing as easy and comfortable for you. The tip guide is equipped with a smart chemical light holder to make the bite also perfectly visible at night. Shadow Spin . Fremstillet af TC24-S Carbon Structure. Sidste nye med stor kastevægt..
Stangen er forsynet med SiC forstærkninger.